This month, we welcome new leadership in Sarb Bajwa our new British Psychological Society Chief Executive. Sarb takes on his new role at an important juncture in the Society’s evolution. Collaboration with psychologists around the world is strong, with the UK currently hosting the European Semester, and many international guests coming to our Annual Conference this month. This work must be built upon. Our public influencing work, through promoting core policy objectives and asks, and the All Party Parliamentary Group for Psychology, is building our reputation as a ‘go to’ organisation. All this represents a solid foundation. Ground has been broken for a new build within the organisation, in terms of culture, our structural review and governance changes. Here, though, there is much design and development work to do to create the structures and ways of working we need. Our structural review proposals are designed to put members in the forefront of setting strategy and shaping the kind of organisation you want to belong to. Our vision is for a more democratic, equal organisation, where all voices are heard, and people feel included. You will see a difference in approach, however, in how the Society will deliver that vision. The Chief Executive, Senior Management Team and senior staff will be much more visible and overtly accountable for delivery, front and centre, in driving forward the change. This is designed to enhance members’ experience, and to be much more effective in making sustainable relationships with external organisations, including with other psychologists’ associations in Europe and beyond. It is also what many other successful organisations are doing. 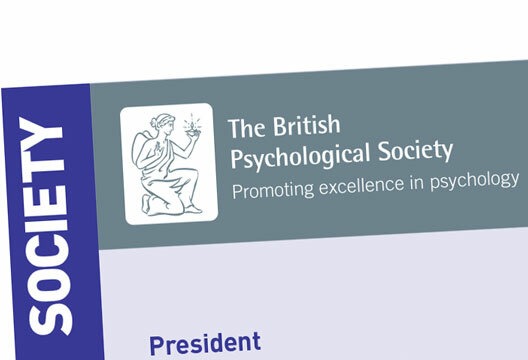 Sarb is enthusiastic about taking on the leadership of the BPS, which he considers represents a discipline with enormous scientific and policy-influencing potential, a professional membership working in challenging professional roles, and with a dedicated and committed staff team. He is driven by a desire to grow and develop organisations and ensure that they make a meaningful and positive impact. He is looking forward to meeting our staff and members, and driving the BPS forward in achieving our mission, and he aims to ensure that members feel proud and honoured to be part of a trailblazing organisation. Our Society has both an illustrious history and fantastic potential. Each of us has the opportunity now to work together to liberate that potential and build a Society for the future.